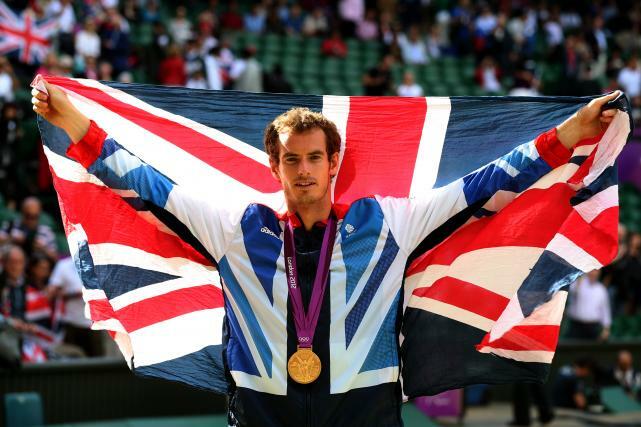 For me the highlight of the Olympics has to be Murray's Gold Medal. Even before I moved to this country some thirty years ago, I rarely missed Wimbledon on the telly. I'm a rubbish player myself (as witnessed by my poor children once during a holiday championship where I failed to get a single point during my doubles match partnering with the Englishman), but I love the game. Daughter and I were lucky enough to see Federer win one of his earlier matches at the Olympics, and so I knew he was in excellent form. When the gold medal match started I was absolutely convinced it would be a repetition of the Wimbledon final couple of weeks previously. But no, from the very start Murray looked as if he was not going to give in this time; his expressions were almost demonic as he drew game after game to deuce and went on to win them. When Murray served the ace, which won the match, I felt tears roll down my cheeks. I cried out of happiness for a good few minutes, so much so, that Daughter, laughing, had to tell me, 'Pull yourself together woman!' (She's very English, that one). 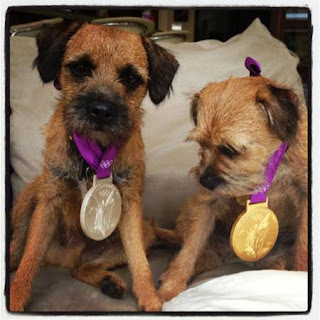 Murray posted this on his Twitter feed the next day - the champion even has the same breed of dog I (we) do! Afterwards watching Murray being interviewed, and realising how much his winning meant to me, I suddenly understood that, for the very first time in my life, I felt more British than Finnish. 'I'm going to apply for British Citizenship,' I announced to the Englishman and Daughter later that evening. The rest of the Olympics I cheered even more empathically at all the British competitors, cried at each medal won and lost, and at each BBC montage (they are too good?). I no longer tried to hold back my emotions as I had before, feeling I was such a hypocrite since I wasn't even British. I finally realised that feeling you belong to one country doesn't mean you give up another. (There were very few Finns competing at the 2012 Games since Finns are more proficient at the winter sports; a fact which helped). I was, however, brought down to earth with a heavy bump this morning when I found out how much British citizenship costs these days. Oh well, I guess it's the thought that counts? Your last lines made me laugh! I became a British citizen a couple of years ago for purely pragmatic reasons (while proudly retaining my south african 'other half' citizenship), but like you, these Olympics have stirred in me genuine feelings of pride in being British. Oh Helena, I don't agree with you on either Tania Kindersley, or Andy Murray (urgh! )let alone British citizenship, but I still enjoy reading your posts! The British spirit was absolutely fantastic during the Olympics! Everybody abroad talked about that! 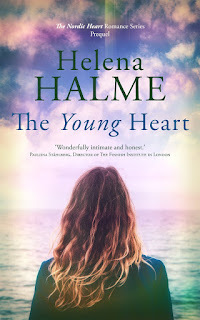 Great post Helena! Karen, London is still basking in the loveliness of the Games, don't you think? I find commuters at least are a little less miserable…perhaps it's because half of the working population are away on holiday?? ?